this year and has provided dairy education to guests since 1998. 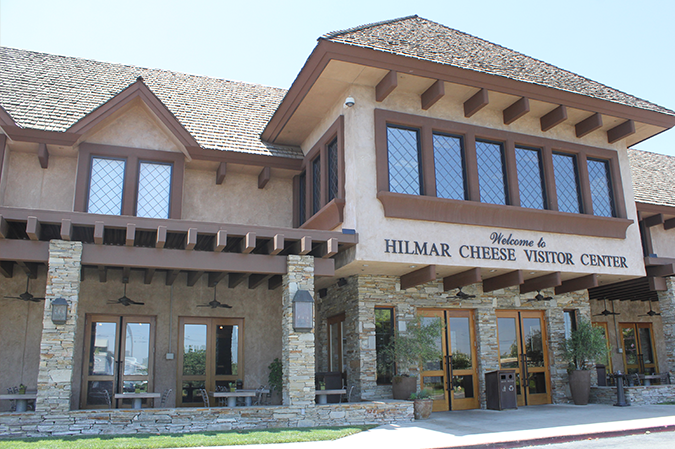 The Hilmar Cheese Company’s Visitor Center has welcomed travelers and locals alike through its doors since 1998, educating the public about the benefits of the California dairy industry. As the well-known center celebrates its 20th anniversary, it continues its mission of encouraging the public to become involved in agriculture. Hilmar Cheese Company was originally formed in 1984, with the original owners taking extra care to hire an excellent staff and obtain the latest technology to process the company’s products, which came from Jersey cows whose milk made excellent cheese. By 1985, Hilmar Cheese Company was finally producing and packing its first cheese products, and the organization’s success led to expansions in 1990 and 1994. Located at the perfect halfway stop off Highway 99 between San Francisco and Yosemite — or any trip through the Central Valley, for that matter — Hilmar Cheese Company saw the perfect opportunity to reach travelers from all over the world. In 1998, the company’s Visitor Center was completed and has since welcomed hundreds of thousands of guests who want to be educated about the company’s operations. 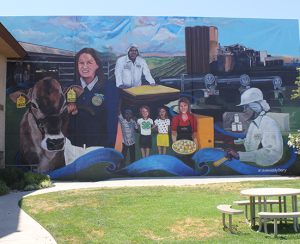 Hands-on activities and displays allow guests at the Hilmar Cheese Company’s Visitor Center to learn about the dairy industry in a fun and unique way. The Visitor Center actively encourages the public to partake in interactive displays that feature hands-on exhibits about cows, dairies and cheesemaking, allows guests the chance to enjoy savory meals in its quaint café and also offers catering services, all while providing education about the importance of dairy. Thanks to free public visitor center tours, guests can learn about the different career options available in the dairy industry and even watch Hilmar Cheese Company employees package the “big cheese” — a 640-pound crate of cheese. The center’s public ice cream making tours have been around since the Visitor Center’s inception and for just $3 per person allow guests the opportunity to create (and eat) their own ice cream. Through the age-old method of “shake, rattle and roll,” guests make their own homemade individual ice cream from scratch and learn about the dairy products that help make the sweet treat possible. 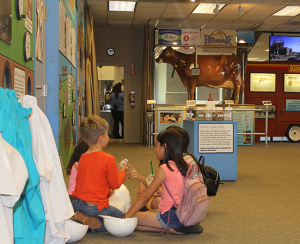 While the Visitor Center has seen some changes over the years, the most recent addition to the educational hub is its AgXscape room — a dairy-themed escape room that requires participants to quickly follow instructions to find clues, locate a fictitious vaccine to save the Hilmar Cheese Company’s cows, all within 30 minutes. The AgXscape room is just another way the Visitor Center allows guests to learn about the dairy industry hands-on in a unique and exciting way. The Hilmar Cheese Company’s Visitor Center will be hosting a ribbon cutting ceremony to celebrate its 20th anniversary at 10 a.m. July 13. The center is located at 8901 North Lander Ave. in Hilmar and can be reached at 209-656-1196.